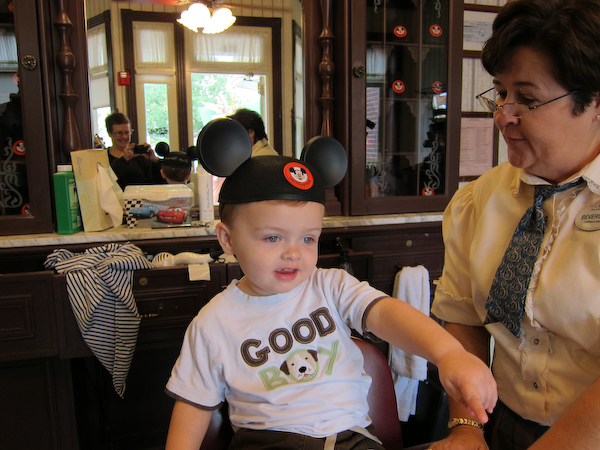 Yes Mouse Fans, it’s the post all of you have been waiting for (and by “all of you” I mean my mother): Theo’s First Haircut! Which was, as you may recall, our raison d’être for Disney World in the first place. So let’s get on with the show. 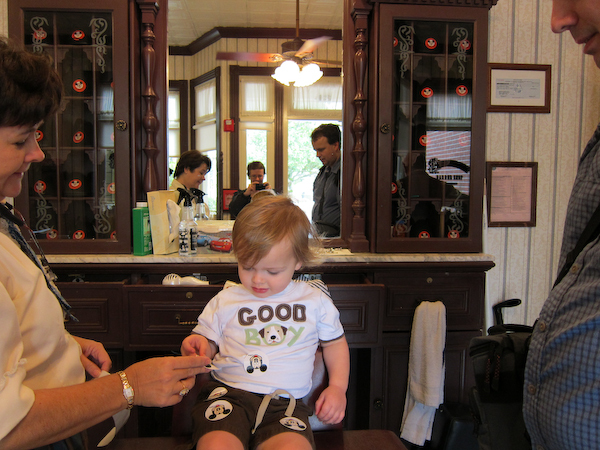 While the Harmony Barber Shop on Main Street does take walk-ins, there are only three chairs and I was advised to make an appointment. 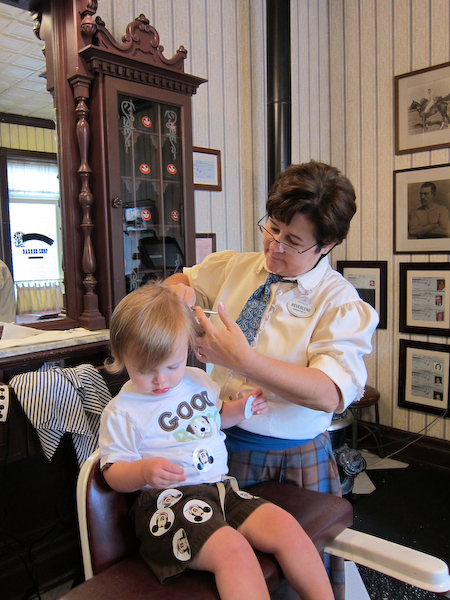 FYI: you make a haircut appointment through the WDW dining reservation number. 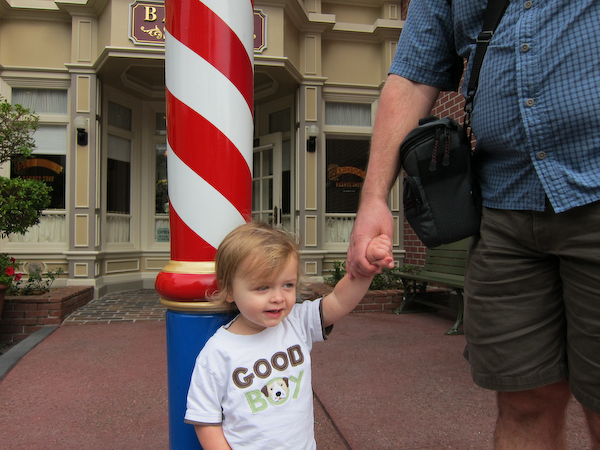 Theo’s hair was getting pretty shaggy, so we snapped a picture outside of the shop for posterity. Our barber was ready to get started. She set up the booster seat on the chair and we hefted him up. 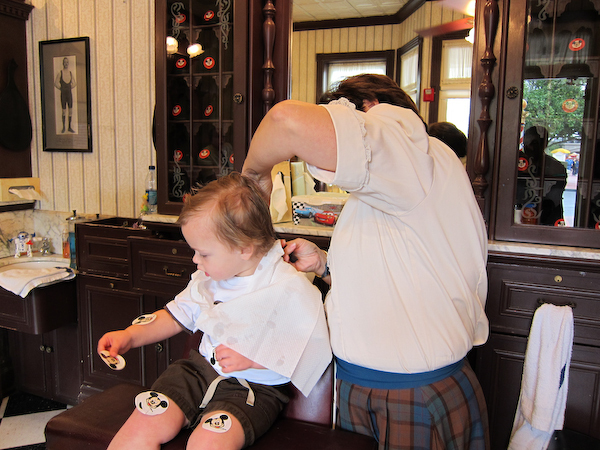 She pulled out a long strip of Mickey stickers and stuck them all over Theo’s tummy, shorts, and legs. He was immediately enchanted. Will someone cut that kid's hair already? It's getting embarrassing. 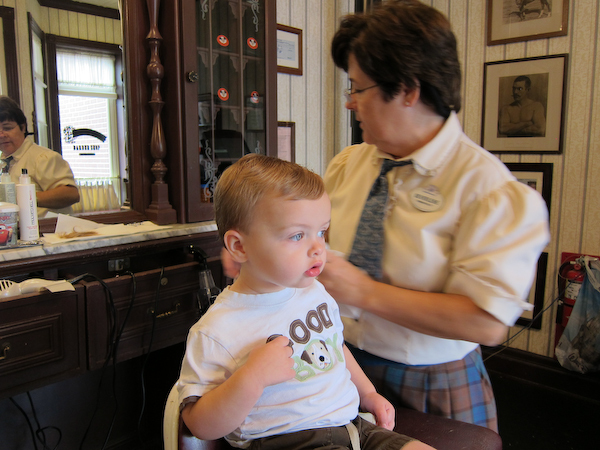 So enchanted, in fact, that he didn’t even realize his hair was being cut. He didn’t even notice when she wet his whole head down with the spray bottle. Those must have been some magical stickers because seriously, who doesn’t notice their head getting wet? She was nearly finished by the time he showed an inkling of interest. Wait, is something happening? Like, to my head? 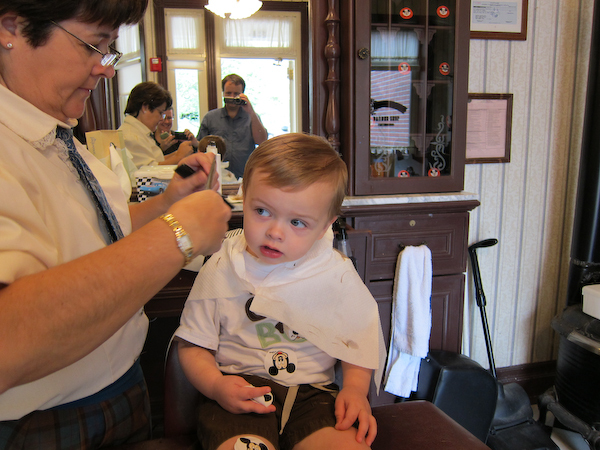 The haircut made him look like an entirely different kid. Almost done! What a big boy! 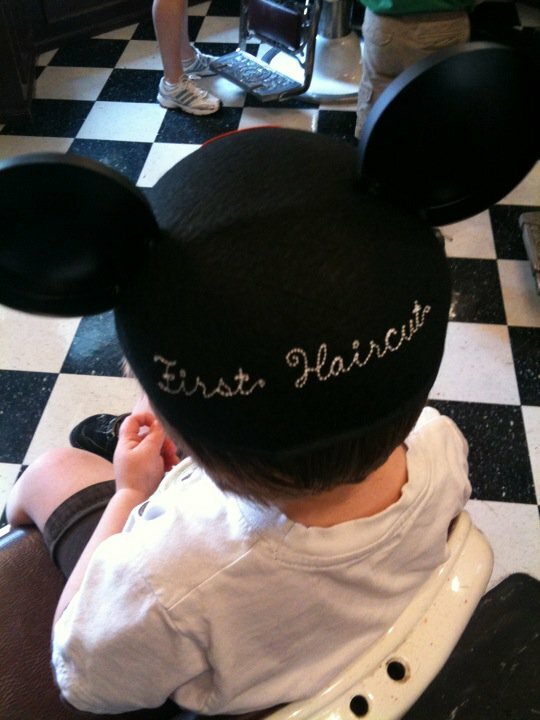 And once it was all done, he received his First Haircut mouse ears and a Certificate of Bravery! It was worth the entire trip.